All training package prices are customized to the individual agency based on class size, contact time and location. All training offering can be delivered in 4 hour or 8 hour module formats. Students will receive instruction on the use of the FAST Rescue Board to rescue & remove firefighters from various situations on the fire ground. Instruction will include basic and advanced firefighter removal techniques incorporating the FAST Board. Skills & techniques will include horizontal drags, reduced profile; removals via stair well, windows and floors. Various obstacle courses can be simulated to incorporate several of the skills to build on student proficiency with the use of the FAST Board. Training props can be provided to facilitate the training program depending on location. 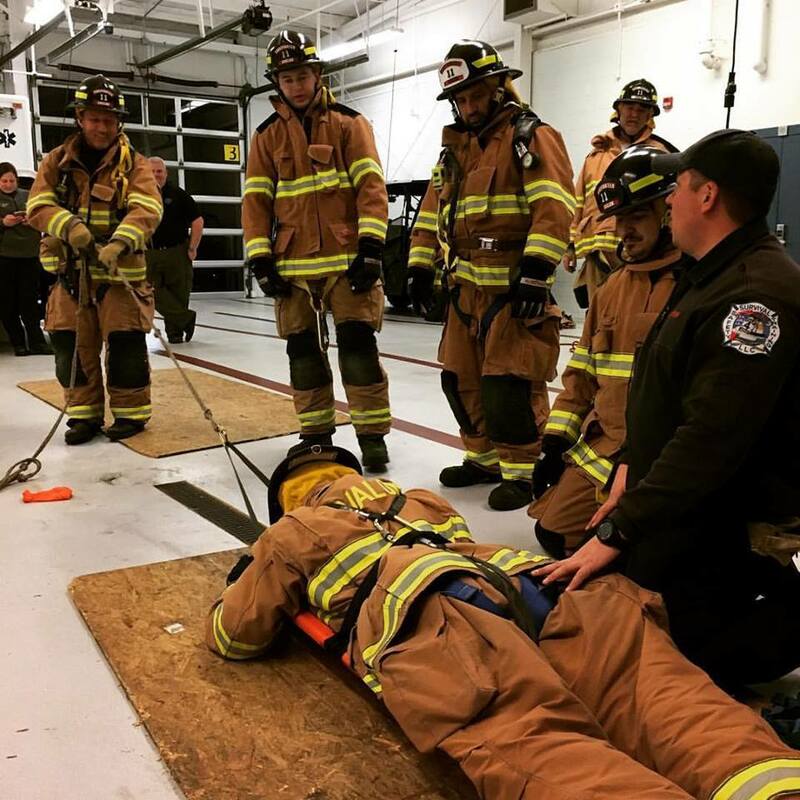 The Technical Rescue Operations training program will focus on the use of the FAST Rescue Board for civilian victim rope based rescue operations. Students will learn how to rig and utilize the FAST Board for vertical and horizontal removals for low and high angle rescue operations. Skills and techniques will include patient packaging, vertical raises & lowers, stair well belays, horizontal raises & lowers. Skill stations can be delivered from elevated positions as well as confined space locations. Training props can be provided to facilitate the training program depending on location. The FAST Rescue Board can be utilized for victim removal during open water rescue situations as well as for ice rescue operations. The Water Rescue Operations program will focus on the use of the FAST Board as a patient packaging device for water/ice rescue incidents. Students will learn how to access patients with the FAST board, packaging patients in water, shore based rescue operations along with boat based rescue operations. Various simulated exercises can be delivered depending on the training locations and skill levels of the students. The Hazardous Materials Operations training program will focus on the use of the FAST Rescue Board for removal of victims from a hazardous materials incident as well as emergency removal of a downed hazardous materials technician from the hot zone. Use of the FAST Board in a hazardous materials incident will provide for a rapid removal of civilians and responders. Skills and techniques will include civilian and technician packaging, decontamination procedures and emergency removal techniques from the hot zone. Various hazardous material incidents will be simulated to allow the students to work in their different levels of PPE. The FAST Rescue Board can be utilized in several Mass Casualty Incident response situations with active shooter and/or mass shooting incidents being at the forefront of rapid patient removal situations. This program will focus how to implement the FAST Board into your agencies civilian victim entry and removal procedures. Students will learn how to quickly package victims, remove multiple patients and conduct operations until hostile conditions. This program is intended for any agency responder (fire, EMS, law enforcement) that may be required to remove large quantities of patients from emergency situations. Law enforcement and military personal will learn how to place the FAST Rescue Board into operations during tactical movements and special operations missions. The primary focus for the use of the FAST Board will be for injured team member extraction under hostile conditions. Skills and techniques delivered to the students will include rapid patient packaging and removal procedures concurrent with the agencies operational movements.